Toyota trucks like the Tundra are known for rugged towing power, but those looking for an SUV that can tow should consider the Toyota Highlander. The 2019 Toyota Highlander allows drivers to tow their trailer or boat for a Nevada road trip, while keeping the family safe and comfortable in its spacious interior. The 2019 Toyota Highlander towing capacity depends on which engine you choose, the 2.7L Engine or the 3.5L V6 engine. 2.7L Engine: Pull up to 1,500 pounds with the standard 4-cylinder engine found on the entry-level Highlander configuration. 3.5L V6 Engine: Upgrade past the base trim LE trim and you will receive a V6 engine that increases the maximum towing capacity to 5,000 pounds. The Toyota Highlander towing capacity is impressive within the SUV segment, and its interior provides additional capacity to carry additional cargo. This eight-seater Toyota SUV provides plenty of interior space for your friends, family, and your luggage. Take advantage of 13.8 cubic feet of dedicated cargo space behind the rear seats. If you have more cargo than people, fold the rear seats down for a maximum cargo volume of 83.7 cubic feet. Now that you know how much can a Toyota Highlander tow, you may be ready to check out the Highlander in person. 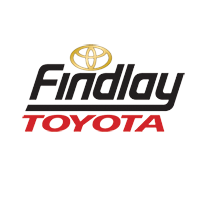 At Findlay Toyota, we stock a variety of Highlander models and Toyota SUVs at our Henderson showroom. You also won’t want to miss our new vehicle specials that could get you into a Highlander for less! Get in touch to schedule your test drive today, or learn more about the towing capability of the 2019 Toyota 4Runner. 0 comment(s) so far on How Much Can the Toyota Highlander Tow?